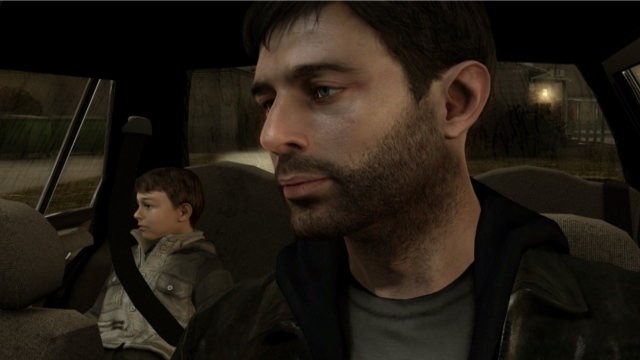 In a report from Quantic Dream executive Guillaume de Fondaumiere, it was revealed that the French developer spent just $16.7 million on 2010’s Heavy Rain. However, the team raked in more than $100 million in total for publisher Sony, selling two million copies of the interactive drama. Adding in the cost for Sony to market and distribute Heavy Rain, that $16.7 million figure was really $40 million. The end result is still a substantial profit for both Sony and Quantic Dream. In a world where 3.4 million Tomb Raider copies sold is a number that falls short of a publisher’s expectations, it’s no wonder publishers are in fear of investing in these AAA titles. They are a business first a foremost and turning a profit is the only way to continue existing and publishing the games people want to play. Clearly, though, Quantic Dream presents a counter argument, saying that betting big can pay off in the end. It is de Fondaumiere’s belief that creating a unique experience was their holy grail in developing Heavy Rain. He noted the success of Journey, which was an independently developed and published game from last year that become the highest selling product on the PlayStation Network. Journey was an exercise in innovation, like thatgamecompany’s previous titles, that paid off in spades. While the games that Quantic Dream and thatgamecompany develop offer different experiences, they are both proof that the video game industry may not want more AAA products. They may just want unique experiences. “We need, as an industry, to be probably more creative, and probably stop creating, every year, the same games over again,” de Fondaumiere said. “Maybe create new IPs. We need publishers of course to take the risk to create new IPs. But we also need the audience to [vote with their wallets]. While it has not been revealed to the public, Quantic Dream’s upcoming title, Beyond: Two Souls probably has a higher budget than Heavy Rain. It would almost have to, taking into account increase in motion capture technology, two very notable actors staring in it, and Sony’s willingness to spend more on a developer that has already proven itself in the past. Will Quantic Dream strike gold again with Beyond? That much remains to be seen. Quantic Dream is one developer that strives to make games outside of the realm of common genres, but that hasn’t kept the company from catching flak for its titles being less ‘game’ and more ‘ interactive fiction.’ However you spin it, Quantic Dream has found an audience within the gaming public that clearly wants more games like Heavy Rain, and from what’s been revealed of Beyond: Two Souls, it is likely they’ll be getting more of what they enjoyed in Quantic Dream’s previous titles.